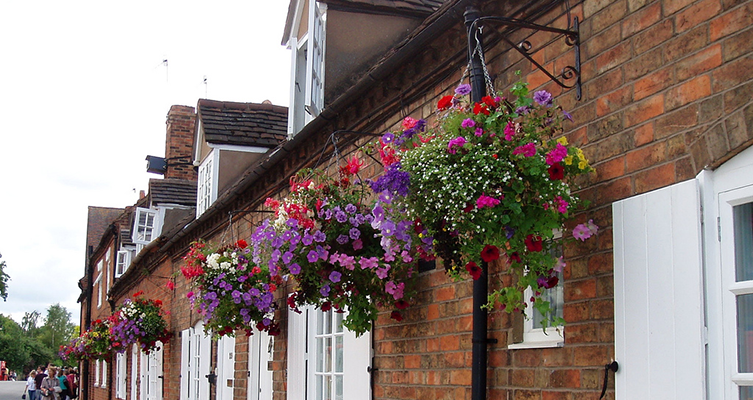 If you want to brighten your garden, look no further than our hanging baskets! Busy Baskets is a gardener's paradise offering a variety of beautiful plans to spruce up your home and your garden. Currently, we offer plants fit for summer and autumn, as well as a refill service for empty hanging baskets. We're adding more all the time so be sure to check either our Summer new varieties or Autumn new varieties to see more. The flowers and decor you choose for your garden are important! While most gardeners focus on decorating the floor of their garden - see bedding and planters - you should never forget to fill your entire project. Our baskets can be hung from areas such as balconies, decks, and previously set up areas intended specifically for hanging baskets. They can add floral atmosphere to the air and all around you, directing beauty to your entire garden. Not sure if you need hanging baskets? While a garden can be beautiful without them, hanging baskets add a unique look to your garden as well as introduce diversity to the types of plants you use. Come by the Nursery to see our delightful hanging baskets made by the talented guys at Busy Baskets today!